All there is to Know about Google Pixel 3! As the year reaches its close, all the big smart phone manufacturers are set to launch their latest mobile offering and while many of them have already dons so, Google is still left. With the latest Galaxy and the latest iPhones from Samsung and Apple respectively, Google’s Pixel 3 is the next highly anticipated phone. But what can we expect from Google’s to- be- released- offering? While there are facts in the world there are also rumours and the tech world is filled to the brim with them. So, without further ado let’s see what new rumours Google Pixel 3 has brought out. Continuing with the Pixel name tag, This year around, Google plans on releasing its new Google Pixel 3 and 3 XL. 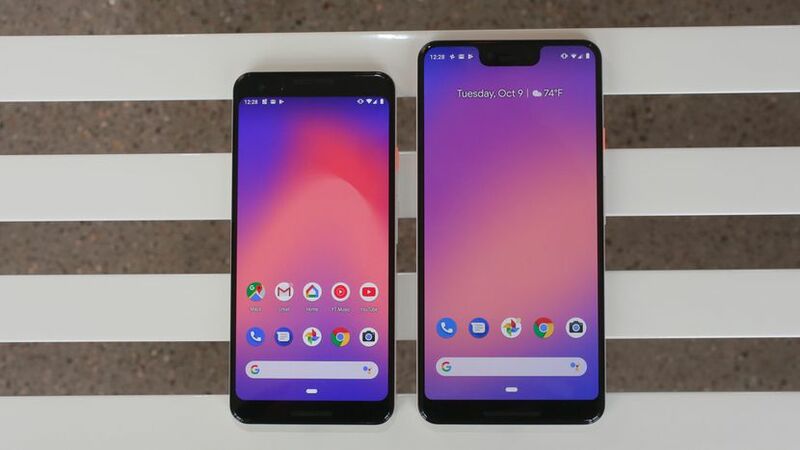 The main design upgrades that both phones have in store is that both the Pixel 3 and 3 XL will feature front facing cameras. This is besides the rear one, of course. Talking about Google Pixel 3, the phone will be the same as last year’s Pixel 2’s design except now with smaller bezels and a 5.4inch display. Google Pixel 3 XL on the other hand will be bigger at 6.7inches display rather than the 6inches last year. The Google Pixel 3 XL will also bear the same notch design that major manufacturers have adopted in this past year. The bar is set at a high level this year as was last year. Google’s camera has been one of the best on the market and this year expectations are higher than ever before. The rear camera on the Google pixel 3 and Pixel 3 XL will be the as that of last year standing at 12.2MP. What further improvements Google has in store for its camera layout is anyone’s guess. The only improvement heard so far through rumour mills is that Google plans on updating its Pixel Visual Core Image Chip. The front facing cameras will each be 8.1MP. What more can you Expect from the Google Pixel 3 and Pixel 3 XL? Both of the phones are said to come with a USB-C port instead of a headphone jack and a finger print scanner which is the same as last year’s models. The only thing different this year around is that both phones will come with wireless charging that is a welcome addition form last year’s models. As for the processor on both Google Pixel 3 and Pixel 3 XL- both will come with Qualcomm’s Snapdragon 845 processor. Apart from this, the Google Pixel 3 and Pixel 3 XL will both come with Android 9 Pie and also have an “active edge grip” that summons Google Assistant with a squeeze at the sides of the phone. Black and white will be the common options for the Google Pixel 3 and Pixel 3 XL phones with unexpected pink and mint green options also being lined up.